We are also members of IPATA - "International Pet & Animal Transportation Association" - "a non-profit trade association of independent members who are dedicated to the safe and humane transport of pets and other animals"
​​Being the most experienced Pet Travel Agents in Cyprus, with 13 years’ experience in this field, we are able to offer you a complete and comprehensive professional worldwide pet travel service. 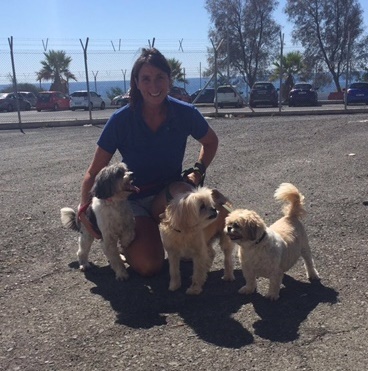 We have gained our experience over the years by dealing with a vast array of customers requests, being hands on with all pets and by dealing with major airlines, airport handlers, government agencies and customs officers on a daily basis. We can provide choice and flexibility for your pet travel plans, and you can be assured of our personal attention at all times from our customer friendly pet travel advisers, as our aim is to alleviate the stress of moving your family's best friend(s) by handling each step of the process for you. 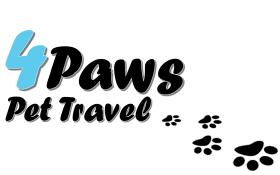 ​4 Paws Pet Travel can move your pets, with the utmost care and attention, to every corner of the World. Once you know and advise us your destination, we can take over the planning and organisation on your behalf. Some of the many locations that we have had experience with include: many if not all the European countries, USA, Canada, the Cayman Islands, Australia & New Zealand, China, Sri Lanka, South Africa, Argentina, and even Peru, Brazil & Chile.